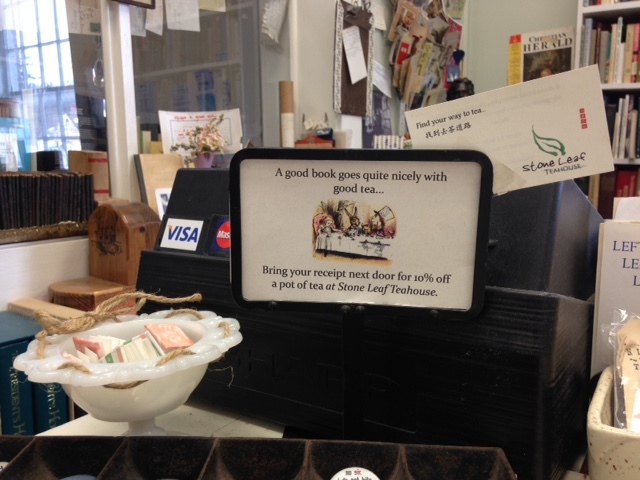 When you show your receipt from Otter Creek Used Books at Stone Leaf Teahouse you get 10% off a pot of tea. You can’t get any better than that on the winter days we have been having. 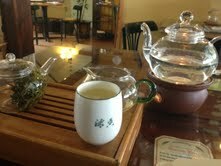 Enjoy the soothing, relaxing experience of a carefully poured cup of tea from Stone Leaf Teahouse. 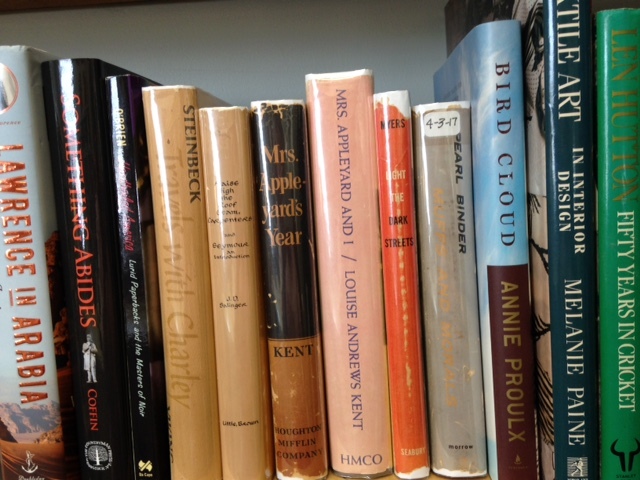 You owe it to yourself to take a moment of time to sit with your newly purchased used book. 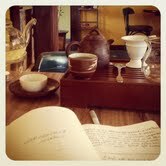 Read, sip and enjoy. Unwind. I’ll head out to check my mailbox, drop off my mug and on the way back will pick it up and come back to put my feet up and take a moment to read a few pages. Perfect! ← Time Marches on. Change is Good.